Join us at Kochanski’s Beer Hall on September 21 from 7-10pm and rock out to Crazy Rocket Fuel & another band! Proceeds benefit Friends of MADACC. 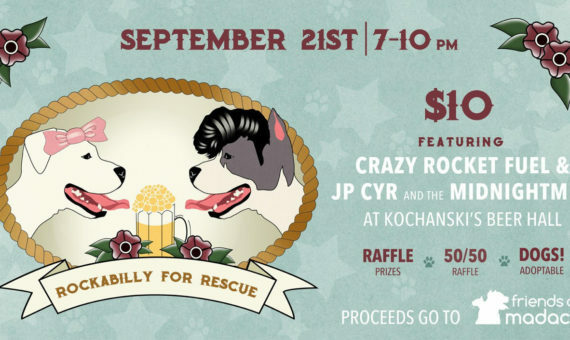 There will be raffle prizes, a 50/50 cash raffle and we may have adoptable dogs!